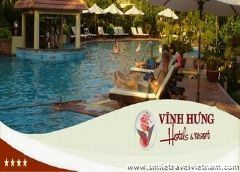 Life resort hoi an, discount rates at Life resort hoi an. 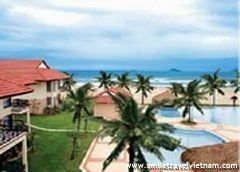 Located along the Thu Bon River, the Life Resort Hoi An has 94 guestrooms and is right on the doorstep of Hoi An’s colourful and bustling Ancient Town. 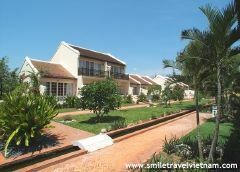 The resort’s French colonial style architecture, the generously sized rooms, landscaped gardens and peaceful surroundings make this resort the ideal home base from where one can do some serious shopping and cultural sightseeing. 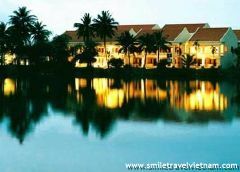 The Life Resort Hoi An is situated on the Thu Bon River, in the French colonial quarter and only a few steps from the bustling historic town center where merchants once traded precious goods and left traces of their many different cultures. Beautiful Cua Dai beach is only a 5 km drive or a short boat trip from our jetty. Overlooking our beautifully landscaped gardens, the superior rooms offer queen and twin size beds, with a private porch ( 39 sqm with 6 sqm private porch) . Work desk with high speed internet connection. Junior Suite Garden View are 42 sqm with garden view balconies. Suites are fitted with a queen size bed or 2 single bes. They have a living area with a sofa bed, private porch and data port allowing fast internet connetions. Bathrooms have a bathtub with an overhead shower. 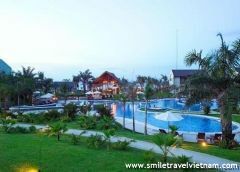 Junior Suite River View are 42 sqm with garden pool balconies. Suites are fitted with a queen size bed or 2 single beds. They have a living area with a sofa bed and data port allowing internet connections. Bathrooms have a bathtub with an overhead shower. 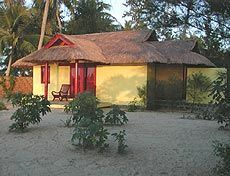 Some rooms are available with connecting doors. Grand suites are furnished with queen-size bed with both shower and sunken bathtub, spacious living room with large sofa bed, a DVD player and a private porch (84 sqm with 8 sqm private porch).Garden view with 1 bedroom, 1 living room and 1 dinning room. Grand suites are furnished with queen-size bed with both shower and sunken bathtub, spacious living room with large sofa bed, a DVD player and a private porch (84 sqm with 8 sqm private porch).Riverview with 1 bedroom, 1 living room and 1 dinning room. As Hoi An is a melting-pot of cultures, the Senses Restaurant captures the essence of both eastern and western influences and blends these with the exotic flavors of Vietnam’s local cuisine. This fine dining, open-air restaurant serves our unique “Life Cuisine”. Sample the simple and fresh, the creative and often times daring fusions of our executive chef. 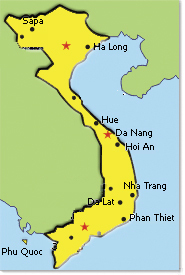 Merchants from the far continent of Europe also frequented Hoi An. 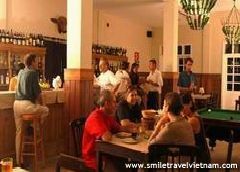 Recognizing its rich trading potential, merchants crossed the seas and docked in this ancient town as early as in the 15th century. Spanning four centuries, the French and Austrian influences are now evident in the town’s architecture, interior designs, landscapes and culinary specialties. Café Vienna serves a wide selection of coffee, tea and delicious pastries as well as Austrian delicacies in a traditional Viennese style and atmosphere. There is no better way to celebrate Dutch culture than to enjoy a typical Dutch Jenever or Heineken in the cozy Amsterdam Bar! The perfect place for get-together, the fully air-conditioned Dutch bar serves a variety of beverages, sandwiches and snacks. Tickles the taste buds of Japanese food lovers. Senses restaurant serves a wide range of dishes from East to West in true style. The perfect place combined with the perfect atmosphere for relaxed, focused and creative concentration, presentation. Life Resort’s multifunction room can be used for conferences, meetings, celebrations, incentive events or even ‘the most important day of your life’ – your wedding. Meeting packages are available for various group sizes and come with modern audio-video facilities and equipment. With a total floor area of 240 sqm, our function rooms can accommodate a group of 60 persons in a U-shape layout and up to 200 persons in a cocktail set-up. Tai Chi, Traditional Chinese Medicine support and other wellness treatments to bring harmony to the body and mind. Centuries-old traditional Chinese medicine support is available using organic and all natural ingredients. Known to provide cure for common ailments, these medicines are fast becoming alternatives to detoxifying the human body. The various massage treatments are tailored with the guest’s specific needs in mind. These include Therapy of the Extremities, Hot Stone Therapy, Hand and Sole Therapy and the Adam and Eve Therapy. Meanwhile the touch therapies target specific stress zones to relieve tension and fatigue. These include the Pressure Point Face Therapy, Stress Relief Back and Shoulder Therapy, Scalp and Neck Therapy, Foot Reflexology and Hand Reflexology. Beauty treatments await those who wish to indulge in facials. One can choose from the many various types of facial treatments being offered: Holistic Aromatic Facial, Deep Cleansing Facial, Revitalizing Facial and Lymphatic Detox Facial. The Beauty Salon also offers holistic hair treatments, manicures and pedicures for him and her. The Life ferry runs from our jetty regularly to the beautiful Cua Dai Beach. 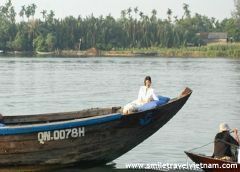 We also offer daily cruises on the tranquil Thu Bon River. Choose between our sunrise cruise with breakfast and our sunset cruise with cocktails.